We’ll kick off this end-of-July soirée with some raspberry deliciousness. 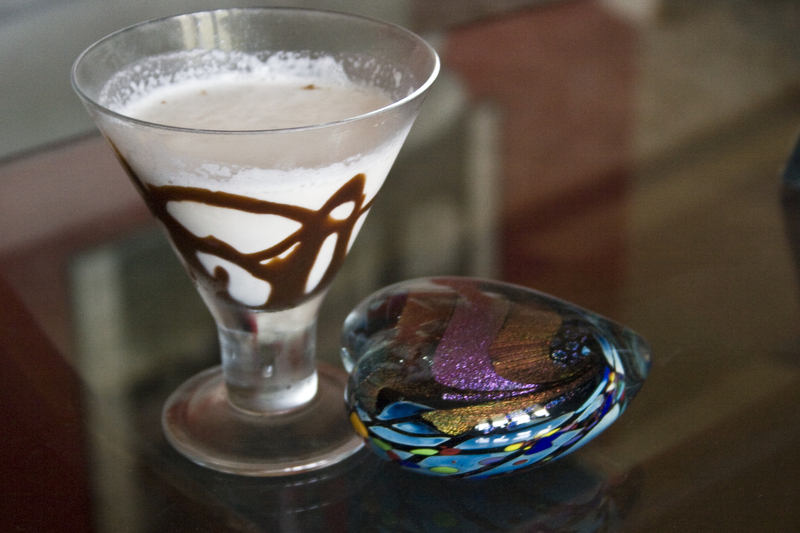 In a chilled martini glass create a criss cross pattern with chocolate syrup. Combine all the ingredients in a cocktail shaker filled with ice. Shake well and then strain into a chilled cocktail glass. Garnish with a fresh raspberry and serve. A nice, smooth dessert cocktail. And it’s exactly that – a dessert cocktail. We wouldn’t recommend it for anything else, otherwise it’s going to weigh you down.